We are a local favorite ski and snowboard tuning shop. We have been tuning for over 30 years in Summit County. We pay close attention to detail, using hands-on method. The tuners at Pup's are also craftsmen and can mount anything; downhill, telemark, cross-country skis and snowboards. Offering same day and overnight service. Drop off your equipment at our convenient location for same day service or an overnight tune! All work is done by qualified, expert technicians with over 30 years experience. We can mount anything, skis, telemark, cross-country, and snowboards. Visit us at our store and talk to our expert staff. You will be safer and have much more fun on the slopes. 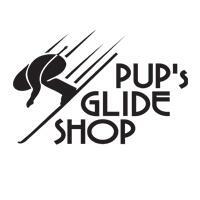 Hands-on craftsmanship and attention to detail make Pup's Glide Shop the local's choice.